Posted on September 15, 2017 at 4:00 pm. Scheid Vineyards has been growing grapes for the last 44 years. They realize that there are some things that affect their business that are out of their control. They can’t stop the next heatwave or prevent an extended frost that could endanger a harvest. However, in this uncertain industry, they know technology can make a difference. Scheid Vineyards has grown into a state-of-the-art winery, with ten estate vineyards. They employ a complex set of systems that work together to help optimize a harvest. For example, they have systems that monitor weather patterns, deploy frost sensors, control watering systems, analyze soil moisture, and feed crucial information back to decision makers. It’s crucial that the systems Scheid Vineyards rely upon are always up and running. Downtime during the harvest, or any time of the year for that matter, is not an option. “These systems play a critical role in the realities we face. A single decision (preceding a weather event for example) can be a million-dollar call,” says Scheid. 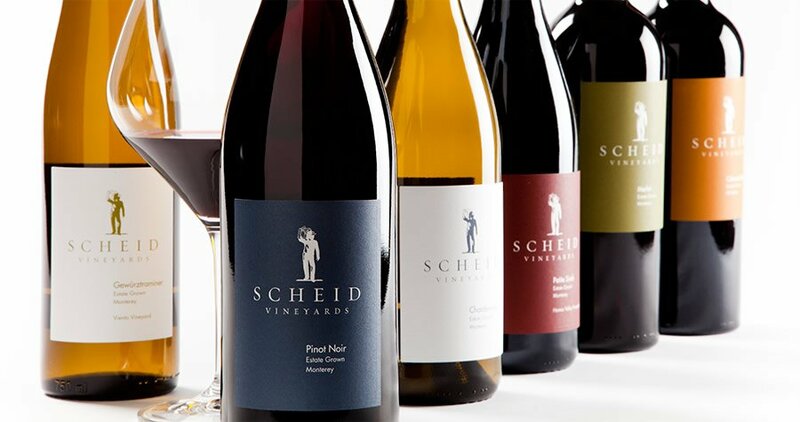 Scheid Vineyards manages nearly every aspect of their business using VinPoint, a state-of-the-art enterprise resource planning (ERP) solution. Developed by UXC Eclipse, a Gold Microsoft ERP partner and leading provider of intelligent business solutions, VinPoint is built on the Microsoft Dynamics NAV platform and is designed specifically for winemakers. UXC Eclipse brought in eMazzanti Technologies, a Microsoft partner who specializing in cloud, IT, and network solutions for small to medium enterprises, to implement cloud-based ERP hosting and provide managed services for the growing Scheid Vineyards IT infrastructure. “The IT group hasn’t grown proportionately with the complexity of the company,” says Scheid. eMazzanti Technologies stepped in to provide a solution to their hosting needs, and a partner to help support their IT challenges. They recommended a Virtual Machine (VM) in Azure. For Scheid Vineyards, the cloud represented the highest uptime, while meeting their scalability demands. They were also happy to have eMazzanti Technologies on board to help monitor the system. From there, Scheid Vineyards and eMazzanti Technologies worked to develop a stable, disaster-proof infrastructure using Azure Site Recovery (ASR) with Hyper-V, helping address the need for reliable system availability. “We feel much more comfortable now, with the managed services provided by eMazzanti Technologies, that we’re going to have 100%, or close to 100% uptime,” says Tom Hornick, CIO for Scheid Vineyards. Scheid Vineyards continues to work with eMazzanti Technologies to build on the existing system infrastructure. As with any business, rapid deployment is crucial. They often have a very short amount of time to test and deploy a new service before rolling out to production. “The business is not going to stop because we are doing a migration,” says Sergio Oliva, IT Support Staff member for Scheid Vineyards. eMazzanti Technologies works with Scheid Vineyards to meet the aggressive deployment deadlines and deliver a seamless experience. During one recent migration, they anticipated having the system down for an entire weekend, but they were up and running by noon on Saturday. “Really, really great experience,” says Hornick. When Scheid was suffered a recent virus attack, the team mobilized quickly to secure the on-prem resources. When Scheid asked Hornick if any of the new, Azure-based systems were at risk, Hornick confirmed that the new systems were protected from the threat. This left Scheid feeling confident that they are making good business decisions about how to deal with the current realities of maintaining IT. New harvests come every year and Scheid Vineyards prides itself on being ready. They have over 40 years of expertise and instincts, but they also need to rely on technology. While Scheid Vineyards still hasn’t figured out how to control the weather, eMazzanti Technologies services and Microsoft technologies help them prepare for whatever happens next.